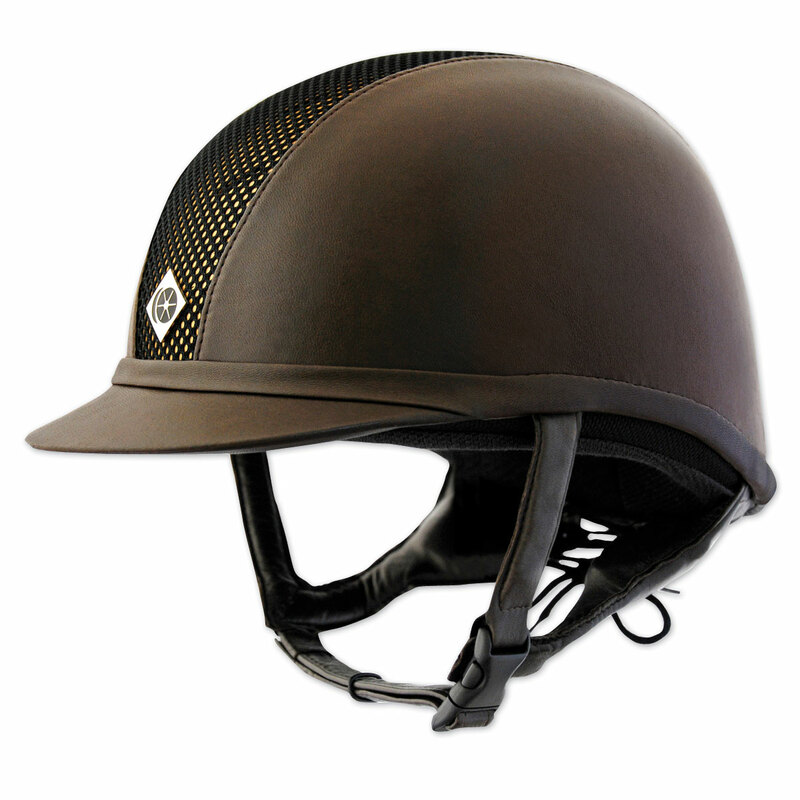 Charles Owen AYR8 Leather Look Helmet - Clearance! 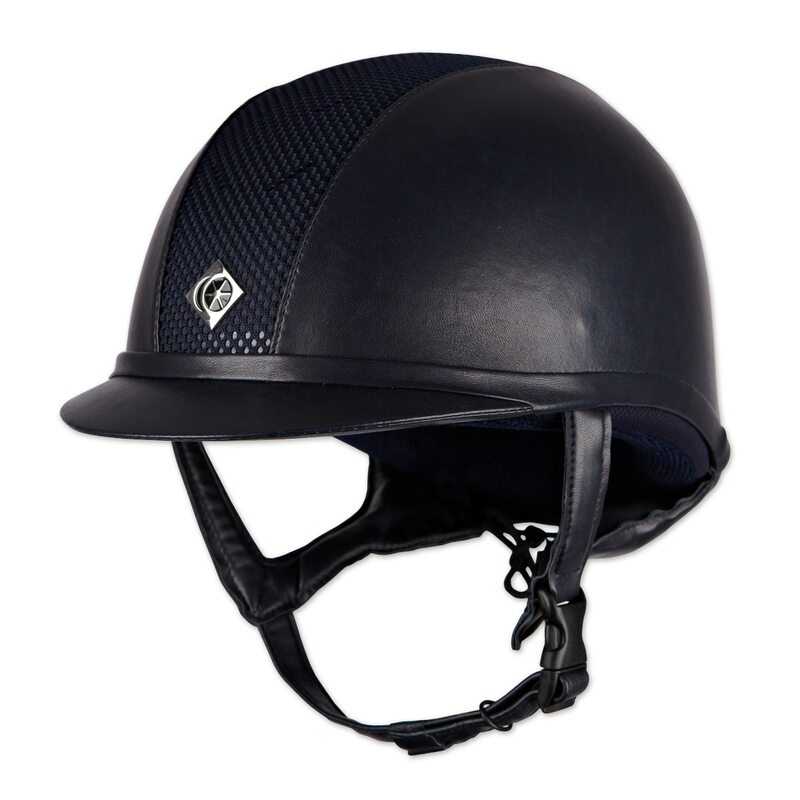 The Charles Owen AYR8 Leather Look Helmet features up to date styling, fit and unparalleled safety make the Ayr8® Leather Look the latest choice in equestrian protective headwear. The Leather Look Ayr8® requires minimal care to maintain its brilliant appearance. The lining features interwoven silver ions, providing anti-microbial protection against sweat and odors. 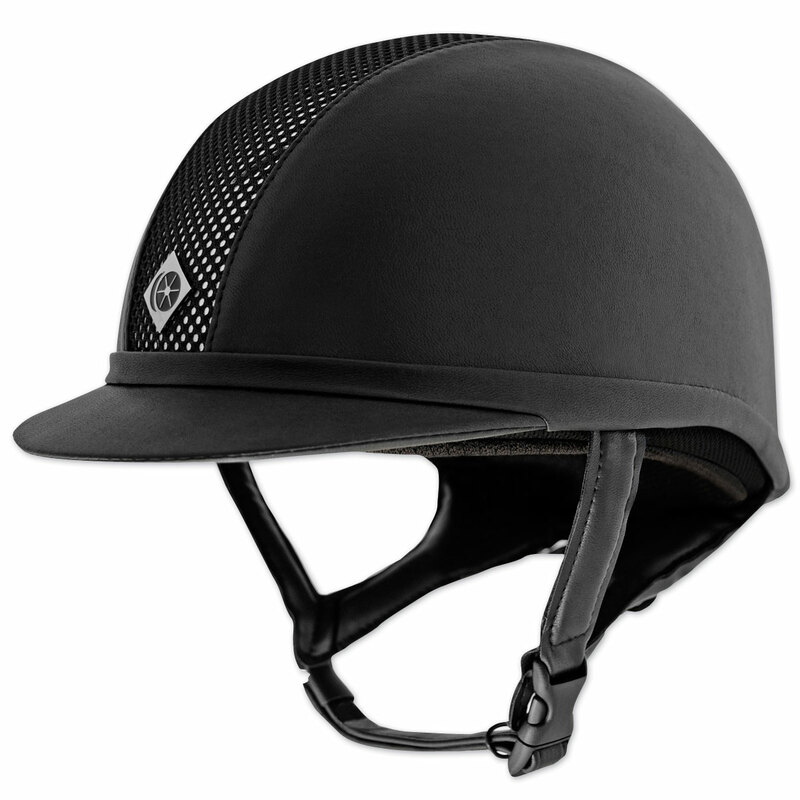 Center panels are available in black for a classic look or heat reflective paint of gold or silver for thermoregulation. The GRpx® technology harness takes the superb fit to the next level.